Manchester United caretaker manager, Ole Gunnar Solskjaer, has identified forward, Anthony Martial as the player that can reach the status of the club's legend, Cristiano Ronaldo. 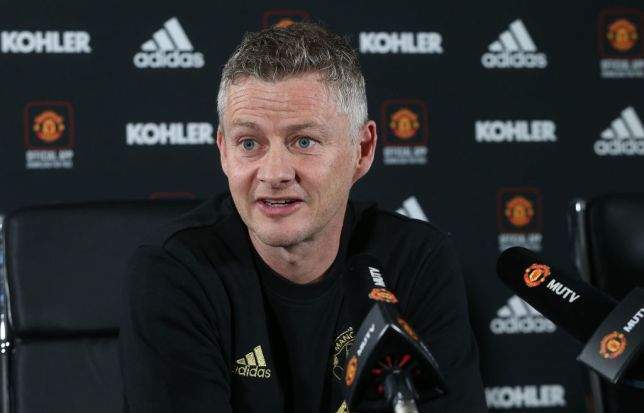 Solskjaer stated this ahead of Man United's Champions League clash with Paris Saint-Germain on Tuesday. The Red Devils boss believes Martial, who scored a goal in Man United's 3-0 victory over Fulham in the Premier League encounter on Saturday, has the potentials to reach the Juventus star's level. "He [Martial] does have similarities with Ronaldo, of course," Solskjaer was quoted by BBC Sport as saying. "If he wants to be at Cristiano's level, Anthony knows what he has to do. It's up to him. He has the talent." Solskjaer added: "I am glad he is in my team. "He has contributed to so many chances, so many goals. He is a Manchester United player. He excites the crowd. He excites the manager. He excites his teammates. And he is a great character around the place."